Going to start a Joomla Website, That’s great. Maybe you will buy a Joomla template for that and start editing it according to your needs and in the way, you think it will attract more visitors. No problem in all of these steps but sometimes finding the perfect template or a perfect template company can be really hard. Probably one of the best Joomla template development company out there. Here you can find all type of Joomla template ranging from the fitness template to one-page multipurpose business template. Not only they provide you the Joomla Template, You can also have a look in their Joomla extensions and Email templates which are top of the class in their category. JoomlaShine is an another great place where you can find all the resources related to Joomla very easily. JoomlaShine helps you with the Joomla Templates, extension and the JSN page builder for Joomla. As per their official sites, there are over half a million combined users of their all products and templates, which is really a great number. Want some great Joomla Templates, If the answer is yes then you can also have a look in the Joomlart website. Here you can find the collection of some of the best and beautifully designed Joomla templates which you can use for making any type of business or agency website. Backed by the most loyal customer base, Template Plazza helped over 12000 plus users in making their website and templates. They provide you the free and premium Joomla templates and extension. These templates are equipped with features like responsive layout, search engine optimized, cross browsers compatible, fast loading etc which help you in saving a lot of time in your development phase. Apart from this, you will get a lot of options in Joomla Template, extension which you can choose as per your business type and requirements. Founder of the famous Joomla Template Framework- Gantry, mark Rocketthemes also as a great template and Joomla resources providers. Rocketthemes features exclusive access to some of the most beautifully designed Joomla templates to give your Joomla site a sleek and user-friendly without compromising any features. TemplateMonster is one of the biggest and most diverse Joomla Resources Marketplace. Not only they have only Joomla Template but from Template Monster you can even buy a software-specific theme. If you really want options in Joomla templates then you must have to check out this template although the majority of the templates available here are premium one i.e you have to pay for them. With over 100+ Joomla Templates and some of the most amazing Joomla extension, Joomshaper is the name which you are going to hear a lot if you are going to work in Joomla CMS. Joomshaper is the maker of two of the most used Joomla products i.e Helix Ultimate framework and award-winning drag and drops SP Page Builder for you to create any type of websites in just a few minutes. Also, there are lots of pre-built template for a specific business model which you can buy and start directly on it. Shape5 is in the field of Joomla Template development since 2007. Within this time period, they have developed some of the best Joomla templates and extension which is the reason why they are trusted by over 307,680 users worldwide. If you are looking for the site where you can find Joomla related stuff then you must also have to note down Shape5 in your list. All the Shape5 Joomla templates are compatible with the latest versions of Joomla and all of the templates offers a wide range of diverse features and functionalities. Although, recently Shape5 is acquired by Joomlart still you can access the site and their products as the separate entity. On top of that now the users of Shape5 can also enjoy the features of Joomlart and its quality support. Another great Resource for finding the Joomla templates and extensions. GavickPro provides you the premium-quality designed template for free, with the added bonus of being completely open-source. That means you can download, modify and use these themes on any website you desire, whether private or commercial without any issue. Templates of GavickPro has been used by over 10,000+ websites, which somehow also show the credibility of the company, templates, and extensions. So you can rely on GavickPro themes to get some free Joomla templates and use it for your next project. Last but not the least, Joomla Monster also provides a vast collection of Joomla templates. 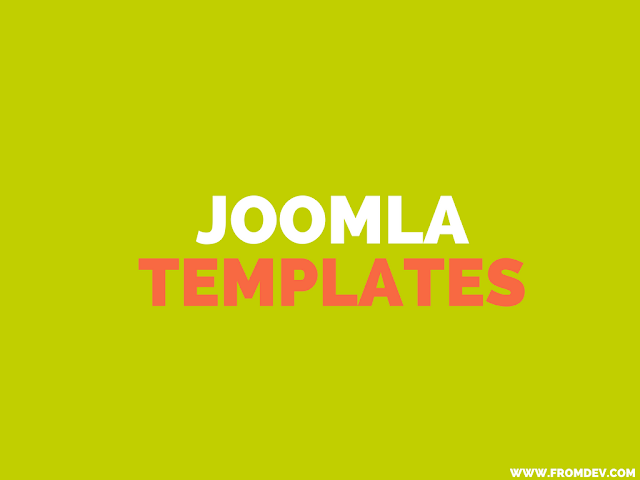 All of the templates you are going to find here are compatible with the latest versions of the Joomla and are fully responsive, SEO optimized, cross-browser compatibility and contain many more awesome features. All these features are of great use and very helpful in order to make any type of website. So, guys, these are some of the best Joomla Templates resources where you can find the hell lot of Joomla Templates for every type of business. If in any case you still have some doubts, feel free to ask out in the comment section. We will be more than happy to help you anytime.